We've all heard of pop-up restaurants but have you ever heard of a pop-up hotel? For those of you who love the thrill of new experiences get ready for some exciting news - Clark Island in Sydney Harbour will be transformed for a couple of weeks this November with a temporary hotel, restaurant and bar - and you're invited. Pretty exciting huh? Hyperventilate in to a paper bag if you need to calm down. 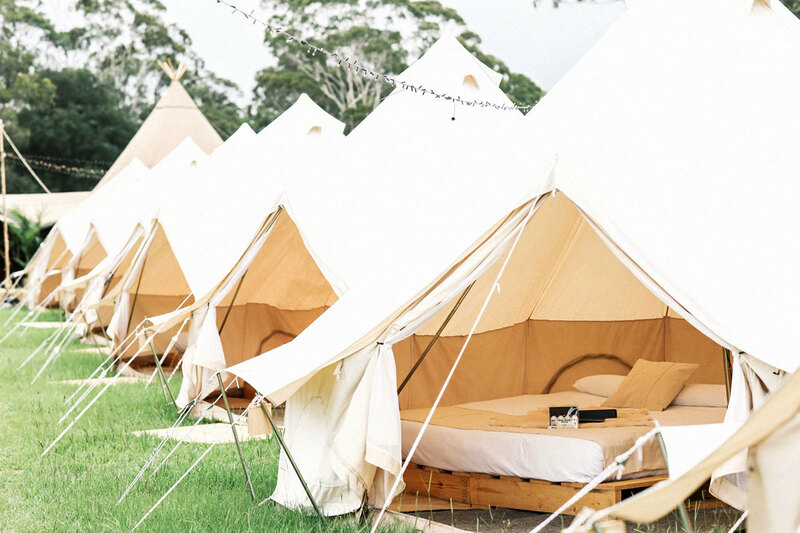 Australian company Flash Camp is bringing their stylish luxury glamping accommodation to the island, where they will set up 22 tents on the northern side of Clark Island. 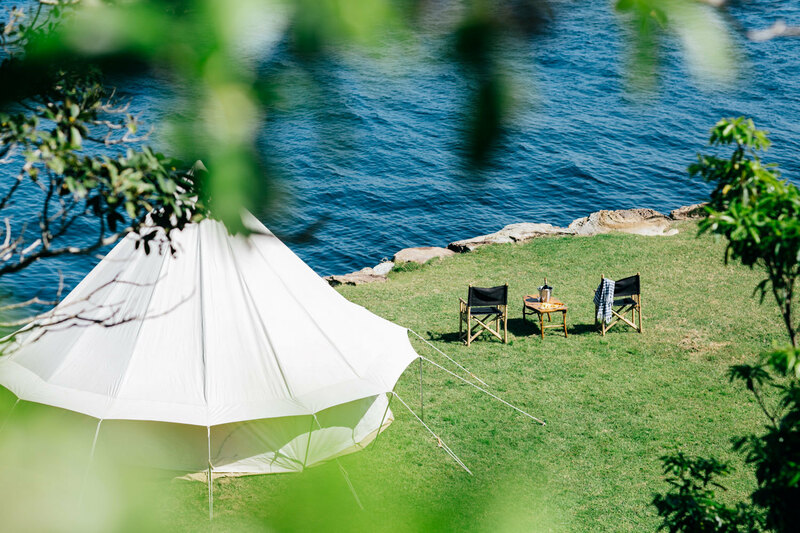 These are no ordinary tents, but specially designed Flash Tents, each measuring five metres in diameter. They will include king and single sized beds as well as mattresses, bed linen, toiletries, furniture, rugs, solar lighting and more. But wait, there's more. In addition to the pop-up hotel there will also be a pop-up restaurant and bar by the award winning Three Blue Ducks. Who wouldn't jump at the chance to spend a night on an island in Sydney and wake up to the stunning views of our fabulous harbour? Especially with the glamour dial turned all the way up to eleven! Other facilities available to guests will include a communal lounge and dining area, ambient lighting and regularly serviced bathroom facilities. Additional food and beverages will also be available for purchase on the island. Accommodation rates start at $420 per person per night which includes your accommodation, breakfast and dinner, plus boat transfers. This experience is only suitable for those aged 12 and over. 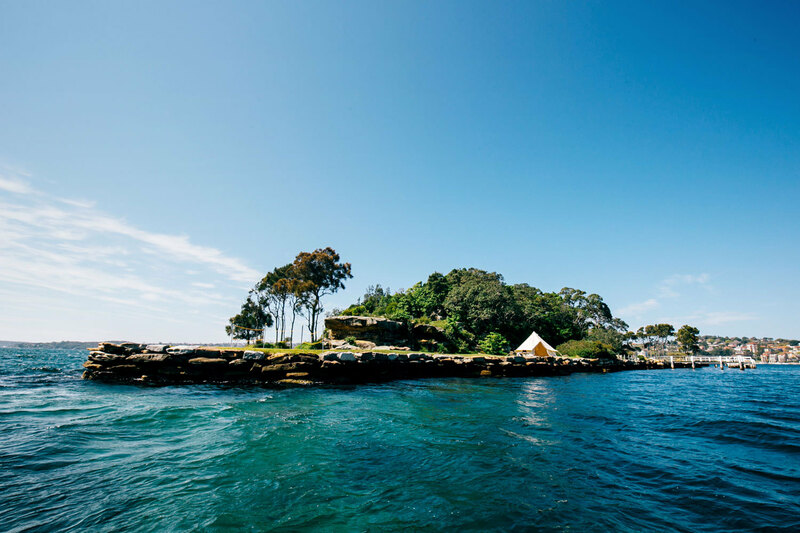 Clark Island is located near Double Bay and boasts views of the Opera House, Harbour Bridge and our spectacular harbour. For more information about Flash Camp please click here.